The Christmas countdown is officially on! It’s only 10 weeks until the big day – which means it’s the perfect time to start thinking about this year’s Christmas quilt! 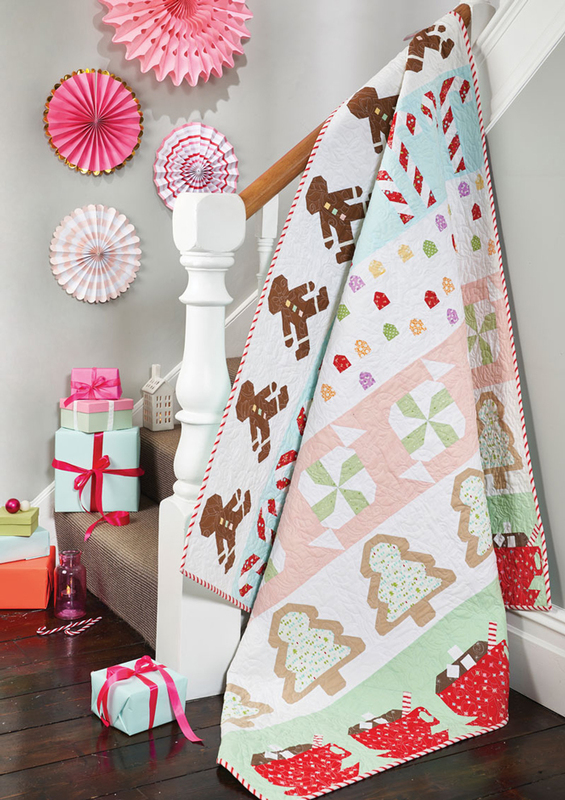 Have you seen this Gingerbread House quilt designed by Gracey Larson – found in the latest issue of Love Patchwork & Quilting magazine? Isn’t it is the sweetest? In case you haven’t heard, the lovely people at LPQ magazine have organised a pre-Christmas party for our quilting community by hosting a month-long Gingerbread House quilt sew-along. 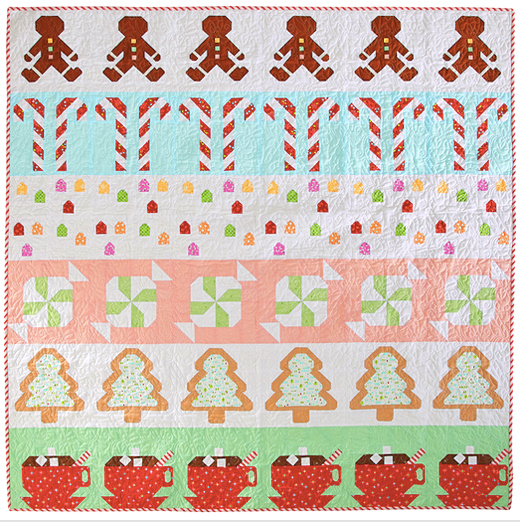 The pattern is a traditionally pieced row-by-row quilt, featuring the cutest gingerbread men, candy canes, sweets, iced cookies, and cups of hot cocoa. 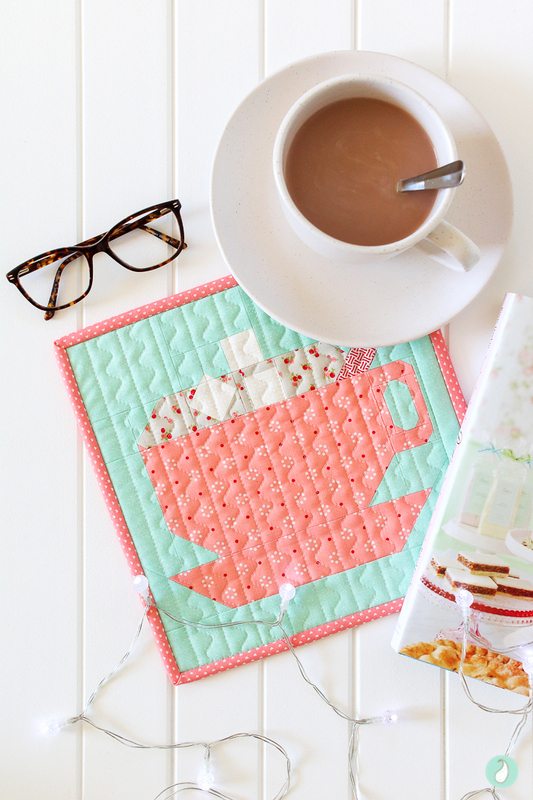 If you want to join the sew-along, you can make the full-sized quilt, or piece a block or two to make a mini quilt, pillow or mug rug. There are no rules – just have some fun and join in sewing along with others in the community. 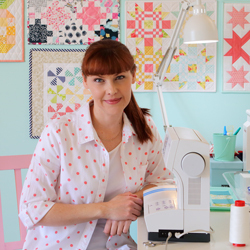 The pattern for the quilt can be found in the October issue (#66), so grab a copy and start sewing. If you are not in the UK , and a hard copy version of the mag takes its time to hit your shores (like me), then you can purchase a digital edition of the magazine from places like iTunes and Zinio. If you are new to Burlap and Blossom patterns, you can find Gracey on Instagram as @burlapandblossompatterns. She uses traditional piecing techniques to design fun and whimsical blocks, and her feed is always full of inspiring ideas. 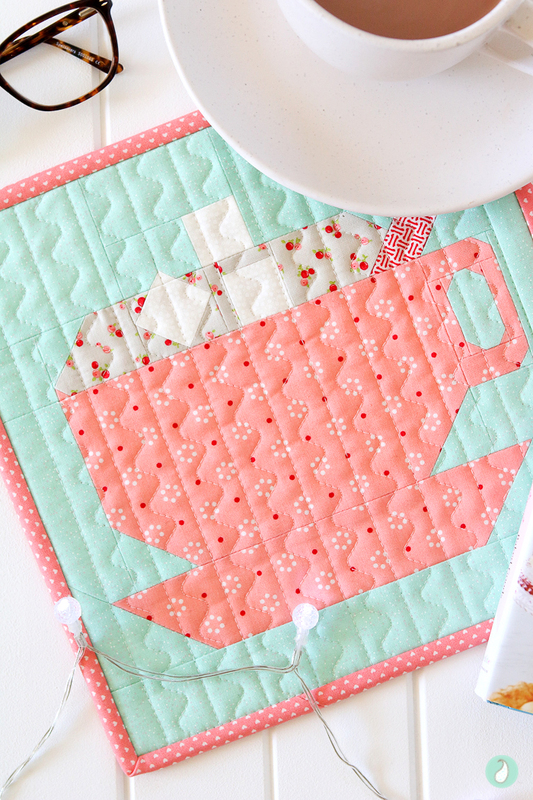 She has so many clever and cute block designs – check out her Craftsy store for more info. I think I need to make the Love and Pawprints quilt block next :). This year my goal has been to make 12 mini quilts throughout the year, so when I saw how sweet the Gingerbread House blocks were individually, I knew it was the beginning of a cute mini quilt to add to my collection. I made the entire quilt from start to finish in one evening. There are a few tiny pieces that are a little fiddly to sew, but I pressed all my seams open and had no problem assembling the overall block. If you want to participate in the sew-along use the hashtags, #gingerbreadqal and #lovequiltingmag to follow along and see what others are making :).